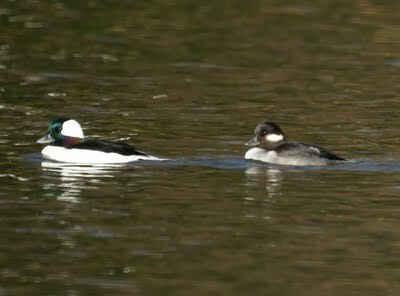 Mike saw two male bufflehead fly in early this morning. We watched them for a while, took some photos, but decided to go to Lenape Park in search of a red headed woodpecker. 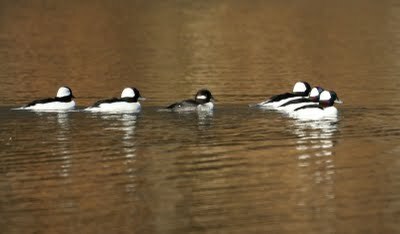 When we got back home, there were five male and one female bufflehead. 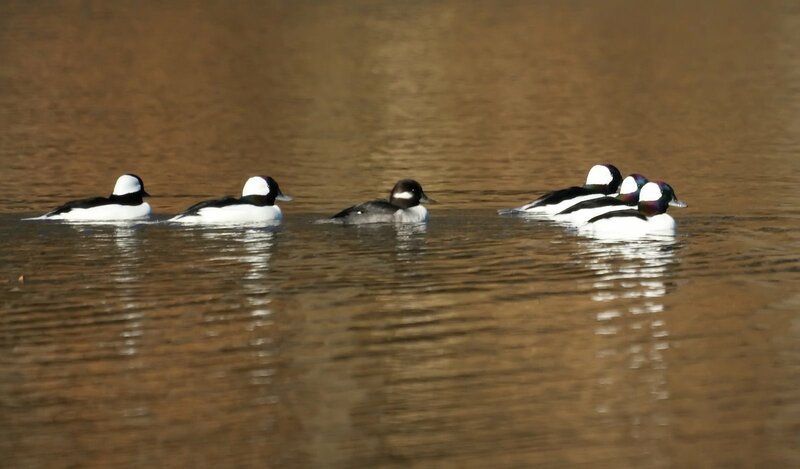 We stayed outside watching them for most of the sunny afternoon. They did fly at dusk, but we aren't sure if it was a short flight within the lake or if they were continuing their migration. 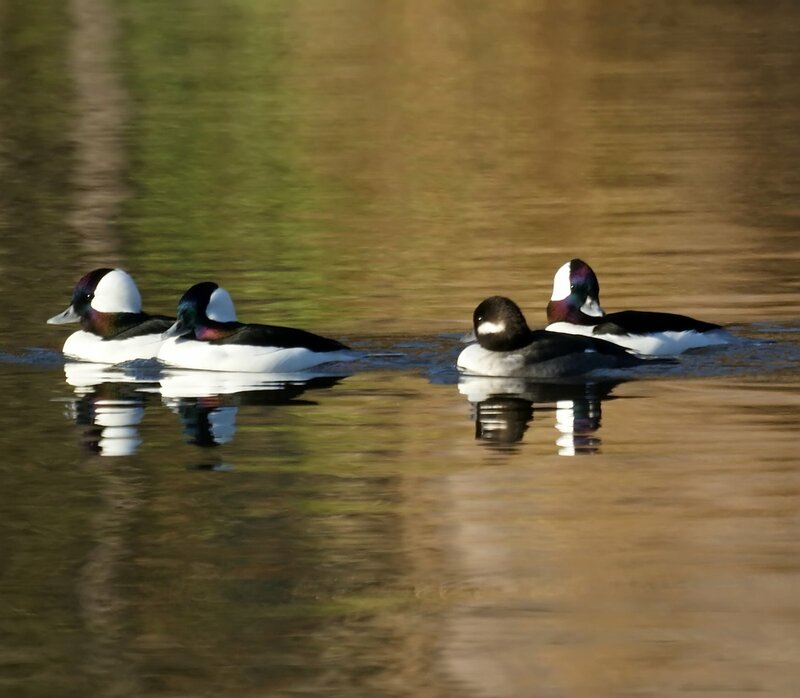 (The group photos are better if you enlarge by clicking on them). 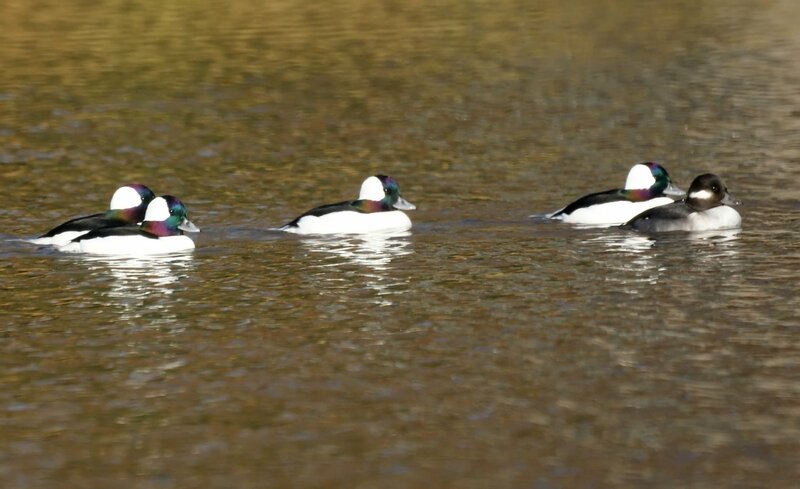 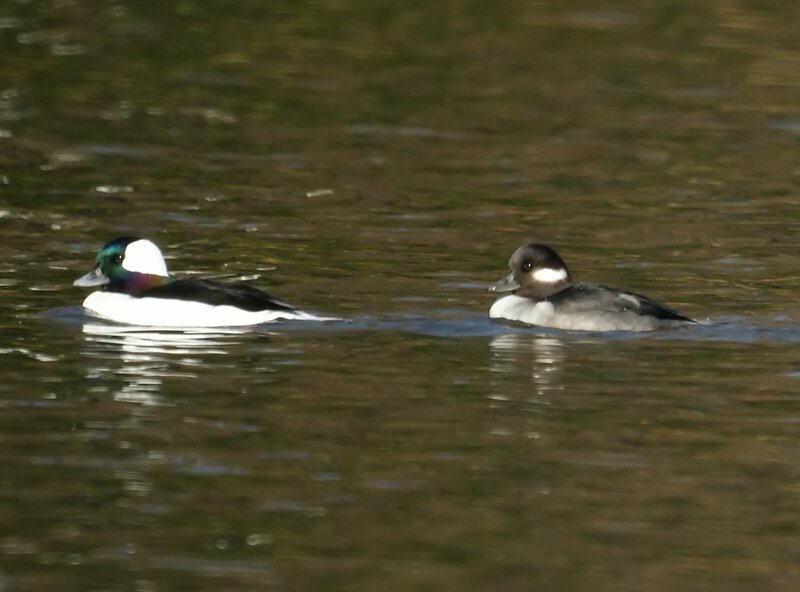 wasn't sure what type of ducks that have come to my lake in Ringwood, NJ until I saw your pics of the Bufflehead diving ducks.